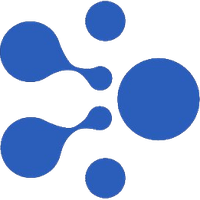 aelf (ELF) is a cryptocurrency token generated on the Ethereum blockchain. The total supply of aelf that will ever be issued is 880.00 Million tokens, and the current supply of ELF in circulation is 331.00 Million tokens. Current aelf price is $ 0.176 moved up to 0.90% for the last 24 hours. All time high (ATH) price of aelf reached $ 2.60 on 7th Jan 2018 and fallen -93.2% from it. aelf's share of the entire cryptocurrency market is 0.03% with the market capitalization of $ 58.23 Million. aelf’s 24 trading volume is $ 9.21 Million. It is trading on 41 markets and 22 Exchanges . Find more details about aelf cryptocurrency at the official website and on the block explorer. aelf price Index provides the latest ELF price in US Dollars, BTC and ETH using an average from the world's leading crypto exchanges. The aelf to USD chart is designed for users to instantly see the changes that occur on the market and predicts what will come next. Aelf OS was developed on Aelf as an open-source operating system like Linux to encourage a more cohesive dApp ecosystem. It uses both internal and external sidechains, along with a Delegated Proof of Stake consensus, to build a decentralized cloud computing network. ELF is the native ERC-20 token for the Aelf platform. To establish a Blockchain infrastructure for various commercial requirements, ælf provides a highly efficient multi-chain parallel-processing system with cross-chain communication and self-evolving governance. It brings three innovations namely scalable nodes on cluster of computers, resource isolation for smart contracts via “one chain to one smart contract” and voting through token holders.